This list takes a look at 10 specific products of the human intellect. Some are astounding because of the speed with which they were produced. All of them are astounding because of their monumental difficulties and influence. Follow-up lists are certainly welcome. Stevenson was intensely interested in whether free will could be overcome, with the result that a person would do something s/he would ordinarily refuse to do. So he set about addressing this issue in his legendary novella about a scientist experimenting with chemicals that will cause him to change into someone else. Dr. Jekyll has no idea, at first, that the person he will change into will be a pure misanthrope, Mr. Hyde, who hates everyone and enjoys hurting them. Hyde’s first crime is beating a little girl and kicking her to death in the street. A year later, he beats a man to death with a cane. Why? Because he loves it. He is the polar opposite of Jekyll. 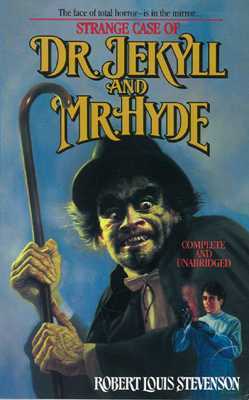 Eventually, Jekyll realizes the danger he poses to society and attempts to explain himself in a letter to be read after his death, stating that he does not know what Hyde will do in the end, kill himself or be executed, but that he does know Hyde will win over Jekyll. Hyde does finally kill himself. Stevenson wrote this novella in 3 days. His family reported that he was feverish with excitement and read half the story to them all at once after an entire day and night of composition. When he was finished, he gave this first draft to his wife for her proofreading. She considered that it would be better as an allegory for people trying to be good, but thereby degenerating ever deeper into their primitive urges. Stevenson judged his wife to be correct and proceeded to burn the manuscript, and then rewrite the whole thing as an allegory in 3 days (some sources say 6). One of this lister’s favorite works of art. It is not a painting, but a copper engraving. Durer personally engraved every single line of it onto a copper plate, using a burin, which looks a little like what you would use to open an oyster. A slight shift of the weight of your hand or body position and the burin can easily slip, scratching across the base metal and ruining the piece. Nevertheless, this piece, typically cited with Melencolia I, and St. Jerome in His Study, is one of Durer’s most richly detailed, highly ornate masterpieces, and that’s saying a lot, given that Durer’s works are revered today as perhaps the most photogenically realistic in all art. One of the most amazing facts regarding it is that it is only 9.6 inches long by 7.5 inches wide. Typically, an artist works on a very large scale in order to attend to the details as minutely as s/he wishes. 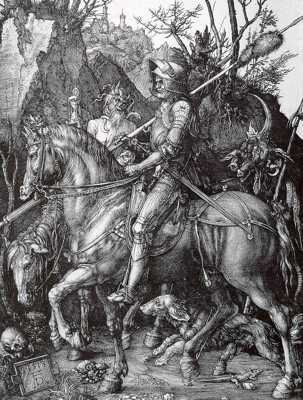 And yet in such a tiny space, Durer was able to pack such detail that many scholars call the horse the most perfect ever drawn. You can see individual hairs in its fur, as is the case with the dog under it, individual windows in the castle on the hilltop. A masterpiece of this complexity usually requires 2 to 4 years of an artist’s time, but Durer finished this one in only 5 months. The single most important event in all fields of 19th Century science took place during less than a year’s time, of 1861 and 1862, in Scotland. While America was fighting a Civil War, a Scottish physicist named James Maxwell was hard at work discovering and systemizing the laws of electromagnetism. Without mathematical comprehension and expressions of this, one of the four forces of the Universe, it would be impossible to harness the power that creates lightning. We credit Thomas Edison with the invention of the light bulb. But Edison would not have known where to begin without the world’s understanding of Maxwell’s four-part mathematical treatise, “On Physical Lines of Force,” which took the next giant leap for mankind from the shoulders of Michael Faraday, who had, 40 years earlier, discovered electromagnetic induction, and subsequently invented the electric motor. The rapid progress of electrical engineering in the late 19th Century began with Faraday, but didn’t pick up much steam until Maxwell’s four legendary equations unified all previous observations, hypotheses, theories, and experiments concerning electricity and magnetism into a single theory. These equations proved mathematically that electricity, magnetism, and light itself are all manifestations of the same thing, the electromagnetic field. Today, this is a household term. But at the time, it might as well have been witchcraft to the public. Maxwell’s equations proved that there is a field of power surrounding any source of electricity, and a field of power surrounding any source of magnetism, that these fields almost always coexist in nature, and that any such field, as well as the single, combined field of both, travels at the speed of light. 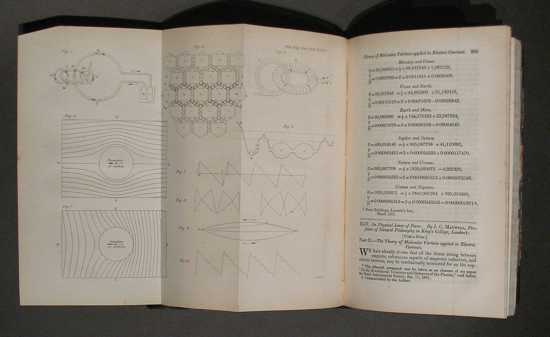 He also proved in his experimentation that electricity, magnetism, and light travel in the form of waves, and was able to predict the existence of these waves in any oscillating field of electromagnetic radiation. He was even able to calculate the speed of light, arriving at a speed of 310,740,000 meters per second. This is not too far from the correct number of 299,792,458 meters per second. The engineering of electricity was impossible without this understanding. Handel did not invent the oratorio, as is often claimed, but used the musical form to his financial advantage during Christmastide, when secular operas were not allowed to be performed in Britain. Handel had already written 9 oratorios and was well known for his mastery of Baroque counterpoint, second according to many scholars to J. S. Bach. He did, however, have critics, who claimed his music did not possess sufficient depth. With Messiah, they stopped criticizing him. He wrote the entire oratorio in 24 days. It is 259 pages of full orchestral score, with comparatively few ink blots and scratch-throughs. He claimed to have written the Hallelujah Chorus in 5 hours of non-stop work. His servants or niece (sources differ) opened his study to find him weeping over his writing desk. He claimed to have seen the roof of his room disappear and Heaven descend through the sky, God Himself enthroned in glory, and a choir of angels singing. He claimed to have written the Hallelujah Chorus as dictated by God directly to him. He wrote the grand Amen at the end of Messiah in less than a day. Wagner did not compose the Ring Cycle in a very short amount of time, as is the case with several entries of this list. Composition of the four operas spanned 26 years, 12 of which Wagner spent writing not a single note of the tetralogy, working instead on Tristan und Isolde and Die Meistersinger von Nurnberg. The colossal stature of the whole work is beyond belief. In terms of size, it is possibly the most epic single work in all literature, of any genre. And unlike almost all opera composers, Wagner preferred to write his own libretti. These he wrote first, and they are outstanding German poetry in their own right. Then he set them to music. His rate of composition was slow, especially compared to that of, say, #3, but he made up for this with very heavy, philosophical depth in his work. Wagner’s music is not for every taste, but there is no denying its power, and his extraordinary ability at weaving his leitmotifs, a concept uniquely his own, into richly textured, often contrapuntal music. Wagner’s method of music composition was nothing new at the time: he first sketched the themes and some development of them, then filled these out in a new draft of only 2 or 3 staves, one for the vocals, and one or two for the instrumentation. This is also called a piano score. Successive drafts would flesh out the orchestral instrumentation until he had one of publishable quality. Wagner went through this process four times, once for each of the operas, and although the first, Das Rheingold, lasts only about 2 and a half hours, it is intended as a prelude to the other three. The average opera lasts about 3 hours. Die Walkure lasts 5 and a half hours, Siegfried 5 hours and 45 minutes, and Gotterdammerung is the longest conventional opera ever written at 6 hours. Wagner intended them to be performed in a series, one each evening over four days. In 1464, the Overseers of the Office of Works of the Duomo (Operai) had planned to commission a series of 12 Old Testament figures to be sculpted for adornment atop the pedestals of the buttresses of the Basilica di Santa Maria del Fiore in Florence. Donatello completed one sculpture, of Joshua, in 1410. His apprentice, Agostino di Duccio, was given a 17-foot (over 5 meter) high block of marble carved from the Fantiscritti quarries in Miseglia. Agostino managed to rough out where the legs would be (not their stance) and might have knocked out a hole between the ankles, but never did anything else on it. He gave up when Donatello died in 1466. For ten years the block of marble sat outside being rained on, sunned on, and blown on by the wind, until Antonio Rossellino was commissioned to continue it, but his contract was inexplicably canceled. A large portion of scholars claim that he was too scared to finish it. This is certainly possible, because by then, the marble was in terrible condition for fine sculpting work: it was very porous, risking easy chipping and even collapse, and it was now several inches shorter, having eroded in the weather. For 25 years after Rossellino, at least 2 dozen artists, including Leonardo da Vinci, were offered the block, and all refused, citing it as a failure waiting to fall apart. Michelangelo, at 26 years old, actively campaigned for the assignment, and the Operai finally awarded him the contract on 16 August 1501, in view of his recently completed Pieta. 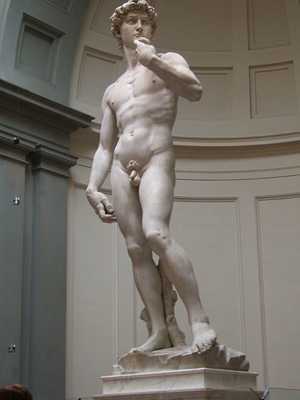 Michelangelo began David on 13 September 1501, and finished 2 years and 5 months later, at the end of February 1504. For the first four months of this time, he did not lay a finger on the marble, and forbade his workshop assistants from doing so. All he did was arrive early every morning, sit, and look at the block. He was getting it all in his head before his first chisel strike. The statue was moved, for 4 days on rollers, half a mile from Michelangelo’s workshop to the Piazza della Signoria. In 1873, it was moved out of the rain into the gallery of the Accademia di Belle Arti, where it resides today. Mahler composed the most titanic of his symphonies, which is saying a great deal, in less than a single month, from late June to mid-August 1906, in Maiernigg, Austria, on the south shore of Lake Worth, in a tiny hut of the villa he had built to enjoy the scenery. During that time, he was only seen exiting his hut to go jump into the lake and swim for a while, before disappearing inside again. His 8th Symphony has been nicknamed “the Symphony of a Thousand,” but it does not require 1,000 people to be performed. 1,000 and more have been used before, and it doesn’t hurt the music. The first movement is a massive double fugue set to the hymn Veni Creator Spiritus, a 9th Century hymn by Rabanus Maurus. This single movement lasts about 23 minutes, huge by Classical standards. The second movement is about 53 minutes long, as long as Beethoven’s entire 3rd Symphony. It is a setting of the closing scenes of Goethe’s Faust, complete with characters, a sort of oratorio. It depicts Faust’s soul being rescued by Eternal Womanhood from Mephistopheles, and Faust’s entrance into the ecstasy of Heaven. Mahler did not approve of the symphony’s epithet, but he couldn’t have been too hurt my the response the symphony got at its premiere. In attendance were Arnold Schoenberg, Anton Webern, Camille Saint-Saens and Richard Strauss, along with conductor Leopold Stokowski, and writers Thomas Mann and Arthur Schnitzler. Mahler, one of the finest conductors in the history of Classical music (alongside Wagner, Franz Liszt, Leonard Bernstein, and Karl Bohm) conducted the performance, the last time he would conduct his own music, and during the performance, women passed out in the audience, and grown men wept. The ovation after the final chord died away lasted 20 minutes. Everyone knows that Mozart worked very quickly on his music. He was such a natural genius at it, that he didn’t even make corrections to some of his scores: the final copies of some works were identical to the first drafts. Near the end of his life, when he was very sick, he was making notes and corrections on all his current endeavors, especially his Requiem. But in 1788, 3 years earlier, he was in the peak of health, and riding the pinnacle of his creative powers. Wagner’s compositional method was mentioned earlier, and for contrast, consider that Mozart, in his prime, did not sketch out his works, going through successive drafts. He composed first drafts of orchestral works in full orchestral score, deciding which instruments played when at the same time he composed the music itself. This is an extremely rare practice, as attested to by almost every other major composer throughout history. The standard practice is to compose the themes and developments in double-stave piano score, and then orchestrate it. His last three symphonies are all products of the summer of 1788, during which time, he enjoyed very little prosperity, having moved out of Vienna’s center to the suburb of Alsergrund, where Schubert was born a few years later, and where Beethoven would live and die. Mozart was reduced to begging friends and nobility for money, depressed over his finances and the third infant death of one of his children, Theresia. Nevertheless, he composed three of classical music’s finest examples of the symphony. They are masterpieces from every musical point of view. Their melodies are all lyrical, intensely entertaining, inexhaustibly intellectual, and developed with pristine clarity, balance, and complexity. They are routinely considered his 3 finest symphonies. The 40th is one of only two minor-keyed symphonies by Mozart, the other being his famous 25th, both in g Minor. He wrote it in one month, from 26 June to 25 July, a blazing speed that he immediately doubled, writing his 41st, now called “the Jupiter,” in 17 days. The 39th, just as magnificent, he wrote in three weeks, from mid-May to 26 June. His wife wrote in a letter to a friend that the instant Mozart set down his pen at the completion of the final chords of his 39th Symphony, he got up from his billiard table, where he liked to write, went to the bathroom, then returned, pulled over a clean sheet of manuscript paper and wrote out the entire first page of the orchestral score of his 40th Symphony, without one mark-through or errant pen smudge, while she stood at the doorway and watched him. “He only stopped there because his ink bottle was empty,” she wrote. For Einstein’s legendary discovery to be explained here, the lister would have to understand it, and then be able to translate all the mathematics into something easily approachable, and do all that quickly. So instead, let us consider the basics of what is involved in Einstein’s conception. 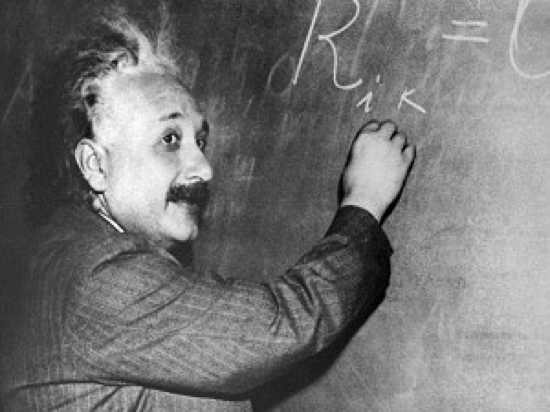 Special relativity, which Einstein worked out in 1905, is a theory of the structure of space-time, that space and time are two qualities of the same entity, and space-time is like a fabric that can be distorted, in the same way that a sheet of rubber is distorted by the weights of objects of different masses placed on it. These postulates provide a world of astonishing results, among them that time itself can dilate, in which case a moving clock can be measured to tick more slowly than a stationary clock; energy and mass are equivalent and transmutable (E = mc squared). It is most relevant to this list to consider the impact of Einstein’s theory. Aside from it’s almighty sway on mathematical and scientific fields explored today, the science fiction plot device of time-travel depends entirely on the concept of “warping space-time,” and Einstein discovered this concept. What special relativity does is reconcile classical mechanics with the electromagnetic field, specifically the equations of #8. General relativity reconciles classical mechanics and electromagnetism with gravity. His theory of relativity’s consequences on time dilation are especially intriguing: he proved mathematically that nothing can exceed the speed of light, for in order to do so, the object in question would gain infinite mass and thus require infinite energy to continue propelling it. But mathematically, a person can achieve the speed of light, and while traveling at that speed for 20 years away from Earth and then 20 years back, will have traveled 40 light-years. The person will have aged 40 years subjectively, but Earth will have aged thousands of years by the time he returns. Objectively, the traveler would become the oldest person ever known to have lived. 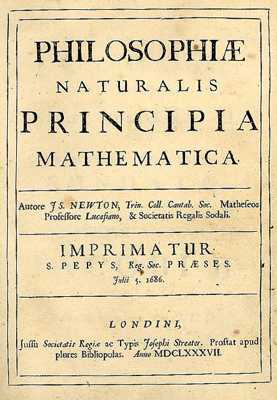 In 1685 and 1686, Sir Isaac Newton wrote a book of some 450 pages in Latin, which did the following: founded all of classical mechanics (excluding relativistic mechanics; see #2); discovered the Law of Universal Gravitation; discovered and developed integral and differential calculus; generalized the Binomial Theorem; developed a method (Newton’s Method) for the approximation of the roots of a function; helped systemize the power series; demonstrated the first analytical determination (based on Boyle’s law) of the speed of sound in air; inferred the oblateness of the spheroidal figure of Earth (meaning that Earth is a sphere “pushed down on both poles” thus “fattening” its Equator); accounted for the precession of the equinoxes as a result of the Moon’s gravitational attraction on Earth’s oblateness; theorized the determination of the orbits of comets; founded the gravitational study of the irregularities in the orbit and rotation of the moon. Newton did all this in 18 months. His development of calculus actually began with pensive brainstorming sessions in 1665, when he was only 23. 20 years later he finally set about writing this all down. His publication of “De motu corporum in gyrum” (On the motion of bodies in orbit) of 1684 came slightly before Leibniz’s publication of his development of calculus, but whereas Leibniz worked on developing calculus for purely mathematical purposes, Newton developed it as a necessity for improving the mathematics of the day while working on applying mathematics to the problems every mathematician wanted answered, specifically, “What is holding the Moon in the sky? Why doesn’t it fall to Earth?” Apples fall to Earth when they detach from their trees, and Newton observed this in an orchard in his hometown of Woolsthorpe. In the spring of 1685, he formulated his famous 3 Laws of Motion, advancing human civilization for the next 300 years, until #2 took the next giant leap. It was Newton’s monumental achievement in the field of mathematics that finally sent the Catholic Church’s hegemony packing on the subject of heliocentrism. The Church had fought tooth and nail against Copernicus, Galileo, Brahe, and Kepler, but could not do anything but accept Newton’s proofs, because the Principia is 450 pages of mathematical nails in the coffin of science’s dark age of hypotheses and conjectures regarding what he turned into classical mechanics. The Summa Theologiae (Latin: Compendium of Theology or Theological Compendium; also subsequently called the Summa Theologica or simply the Summa, written 1265–1274) is the best-known work of Thomas Aquinas (c.1225–1274), and although unfinished, “one of the classics of the history of philosophy and one of the most influential works of Western literature.” It is intended as a manual for beginners in theology and a compendium of all of the main theological teachings of the Church. It presents the reasoning for almost all points of Christian theology in the West. The Summa’s topics follow a cycle: the existence of God; Creation, Man; Man’s purpose; Christ; the Sacraments; and back to God. It is famous, among other things, for its five arguments for the existence of God, the Quinque viae (Latin: five ways). 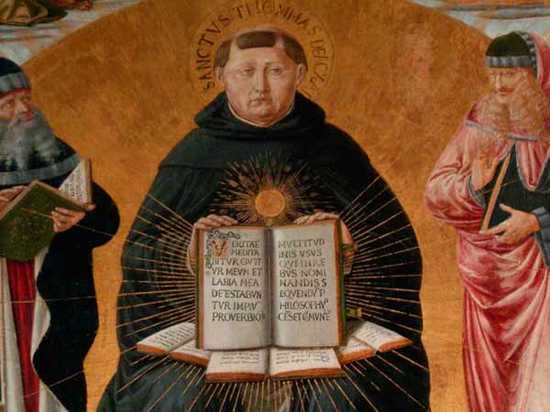 Throughout the work, Aquinas cites Sacred Scripture, Aristotle, Augustine of Hippo, and other Jewish, Greek, Roman, Christian, and Muslim scholars. Each proof is presented with arguments and solid reasoning for the conclusions. It’s influence is so immense that it remains to this day the main manual (in five volumes) for seminary education in the Catholic Church.